Home Carolynne McQueen: the man on our money? McQueen: the man on our money? After the Bank of England recently revealed that either a painter, sculptor or designer will feature on the next twenty pound note there has been much speculation surrounding whom the honour might bestow. 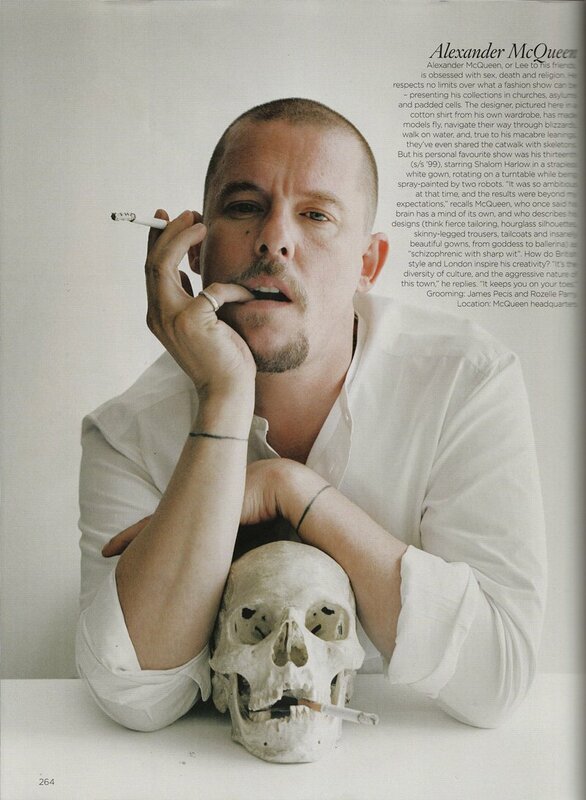 Amongst the bookies’ various predictions, Alexander McQueen has been named one of the few favourites to soon feature as a regular face in our wallets. Running alongside William Hogarth and Richard Attenborough, the possibility of such a homage to McQueen is to be decided by the public whom are able to nominate designers, directors and artists for the position. Whilst living people and fictional characters are exempt, the main criteria for the role is that the said person has made a considerable contribution to society. Though the Bank has left the decision to the public to decide on who, with nominations being taken for fashion designers, film directors and artists, sadly, living people and fictional characters are exempt. Whilst many might consider William Hogarth and Richard Attenborough’s contribution to society to be greater than McQueen’s, the fashion designer certainly has my vote. One of the biggest names in fashion before his death in 2010, McQueen was a brave and uncompromising designer, engineering designs that lead French haute couture to critical acclaim. But McQueen’s legacy has lived on triumphantly for, immortalised by Sarah Burton his predecessor, in 2011, the Duchess of Cambridge walked down the aisle in an original McQueen design. Yet as a young designer, McQueen admittedly stole fabric from his flatmates to create his clothes, illustrating just what can be achieved with a little imagination at university. Following the recent decision to put Jane Austen on the five pound note, the result of a huge campaign for increased female representation, if picked to face the twenty pound note, McQueen will also be an equally contemporary choice, as the first openly gay person to do so. However, though McQueen was open about his sexuality, his past was dark and troubled and eventually lead to his suicide. Whilst such a tragic event often overshadows the incredible work of an individual, I wholeheartedly hope that McQueen might be immortalised on the bank note as proof that though gone, his influence on society is not forgotten and perhaps even in years to come, when our children ask whom the man on our money is, we might tell them about McQueen.